Malta is a prime diving destination in the Mediterranean, attracting up to 100,000 enthusiasts annually in recent years. Clean seas, warm water, scenic seascapes and a varied marine wildlife plus a good infrastructure of dive schools all contribute towards this successful tourism niche. The islands’ dive sites are a mix of stunning vistas of caves and boulder meadows plus a score of interesting wreck sites. 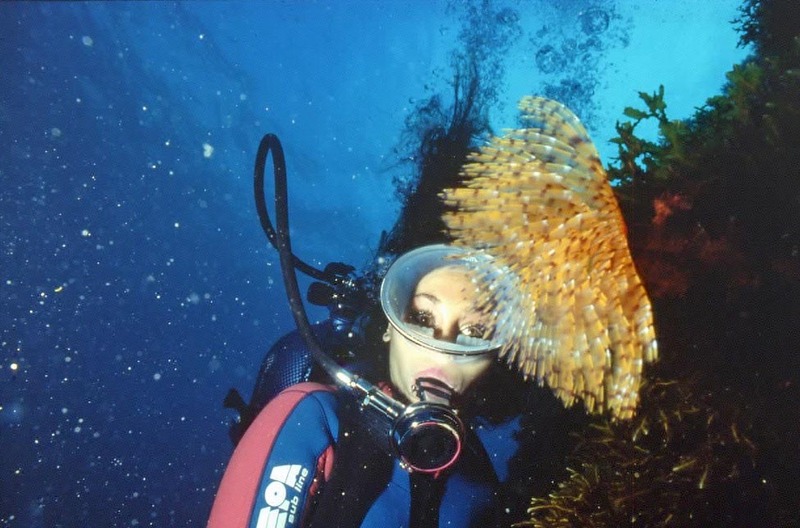 Underwater visibility is normally excellent – around 20 metres in spring and autumn and going up to as much as 45 metres in winter. Water temperatures vary from 28c in summer and go down to around 15c in winter. Generally speaking dive sites get better the more north you go, with a good concentration of excellent sites at Cirkewwa, Comino and Gozo. The waters around the Maltese Islands contain an impressive variety of fish including stingrays, moray eels, groupers, amberjacks, barracudas, parrot fish, John Dory, squids, scorpion fish, seahorses, octopus, turtles, conger eels as well as lobsters and other crustaceans. Also present but rarer to encounter are a few species of sharks (rarely dangerous) and the impressive sunfish. There has only been one recorded shark attack in Malta – and that happened in the 1950’s. 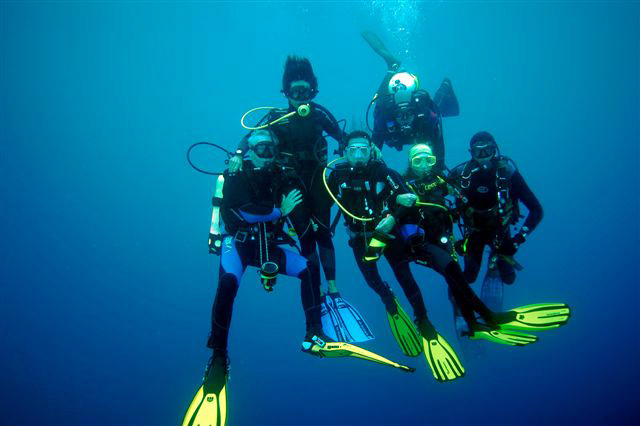 Local dive schools offer a variety of activities for both advanced divers and beginners. Divers need a medical certificate indicating dive fitness and all schools offer ready help with the necessary paperwork. Self-certification is practiced but medical advice is provided in cases of doubt. Divers who wish to dive independently will still need a diving companion and have to be certified as PADI Advanced Open Water or equivalent (e.g. CMAS Two Star Diver, BSAC Sport Diver, SSI Advanced Open Water, etc.). In view of varying weather conditions and currents it is highly recommended that independent divers check with their diving centre as to suitable locations for dives. 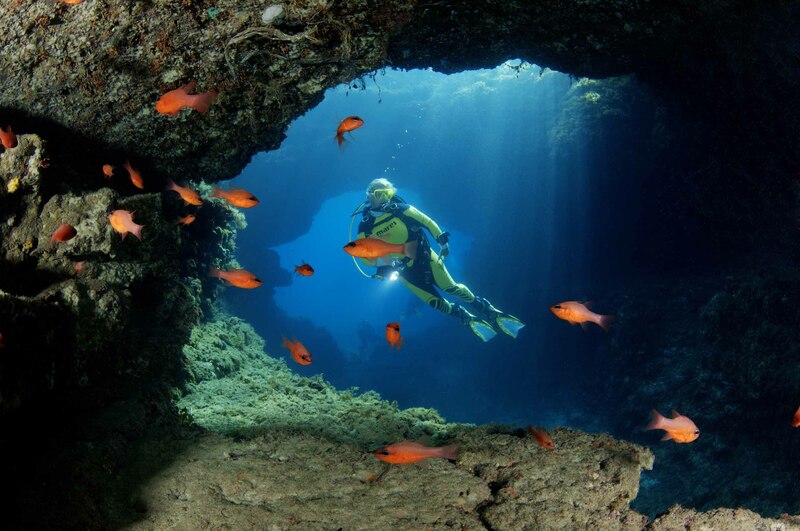 Malta’s top dive is generally considered to be the famed Blue Hole at Dwejra in Gozo. It starts with an unavoidable walk over jagged rocks and one enters the water through a small pool but from there it is one amazing journey through caves and passages between large boulders or along the sheer overhanging cliff walls. Just around the reef from the Blue Hole the so called Coral Cave is another popular dive – a site of impressive colour and biodiversity. The other dive at Dwejra starts from the inland sea and via the sea tunnel one reaches the deep ultramarine coloured sea immediately beyond where one can explore the rich life on the steep sea walls. Reqqa Point near Wied il-Ghasri is another Gozo site with some shallow reefs sloping to greater depths. The site is ringed by a steep shore reef wall. A number of other Gozo dive sites are grouped around Mgarr ix-Xini and the nearby Xatt l-Ahmar. The popular Mgarr ix-Xini dive is an easy one in mostly shallow waters with a gentle entry at the mouth of this picturesque bay. Further out of the bay is Fessej Rock, a lonely offshore rock that plunges some 50 metres below water amidst some huge boulders and a varied marine life. Off Xatt l-Ahmar three wrecks have been scuttled creating interesting sites. MV Xlendi was the first to be set up, however the vessel was scuttled in rough sea and landed upside down. More successful were the scuttling of MV Karwela and MV Cominoland, both sunk in 2006. Both vessels had served the Malta to Gozo ferry route before being decommissioned. The clear seas of Comino offer some great cave dives. The best Comino dive is around the Santa Maria caves. There is also a wreck of a decommissioned patrol boat some way off the Blue Lagoon. Mainland Malta’s most popular sites are clustered around the ferry terminal at Cirkewwa. Furthest offshore is the dive known as The Arch, a remnant of a collapsed underwater cave which stands at a depth of 18 metres. Barracudas, skipjacks and amberjacks are frequently encountered at this site. Nearby are the Rozi and P29 wrecks. Rozi is a 40 metre tugboat which was scuttled in 1992. The wreck sits perfectly upright on a sandy bottom and is an established habitat for a number of fish species. The P29 is a former minesweeper originally commissioned for the German Navy. It later served with the Armed Forces of Malta for a number of years. At the other end of the Marfa peninsula at Ahrax Point is another intriguing cave dive. There is an interesting reef consisting of large boulders and ravines and a passage leading to a large collapsed cave. Cardinal fish are a feature of this site. Qawra, the headland adjacent to the popular resort town of Bugibba, features two sites. 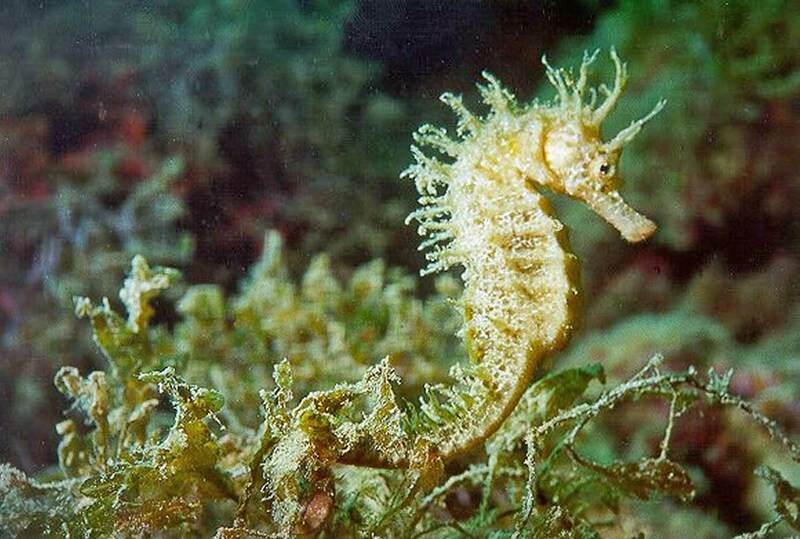 The Qawra Point dive is a shallow one averaging 12 metres depths and features large posidonia fields and gullies which add scenic texture and are the haunt of evasive marine life such as seahorses. Also at Qawra Point is the wreck of the Imperial Eagle, another ferry boat previously used on the Malta-Gozo run. Nearby is a submerged Christ statue. The coast between Lapsi and the Blue Grotto features another three sites. The Ghar Lapsi dive is a shallow one averaging 10 metres and is an ideal one for less experienced divers. It features a series of interconnecting caves. 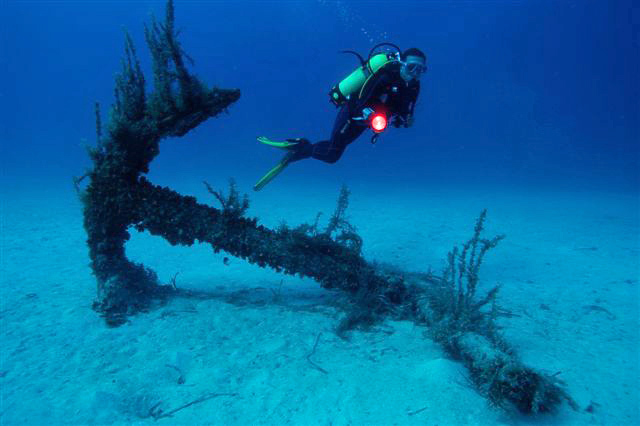 The Umm El Faroud wreck at Wied iz-Zurrieq is associated with a tragic story. On 3rd February 1995, while the ship was being repaired at Malta Drydocks, a huge explosion occurred, killing nine workers. The ship was severely damaged and a total write-off. Three years after the tragedy it was scuttled and is now a thriving artificial reef. The third dive in the area is a boat dive for experienced divers and features the deep waters around the islet of Filfla, the southernmost point in the Maltese archipelago. This dive is the best bet for a glimpse of large predators like tuna and barracudas – and the occasional shark. Filfla is a protected nature reserve and no landing on the islet is allowed. Special permits are normally required to dive in its vicinity. Two interesting wartime airplane wrecks are located off Dragonara Point in Saint Julians and Xrobb l-Ghagin. The first is a Bristol Beaufighter which crashed in March 1943, luckily without loss of life. The wreck is a well-established micro ecosystem and a haven for scorpion fish. A Bristol Blenheim Bomber sits at the bottom of the Xrobb l-Ghagin site. It is believed this plane was shot down on approach to Malta but historical details are sketchy. It is a spine tingling dive with both the aircraft’s wings visible and one engine still retaining its propeller. Due to tricky currents in the area this site is recommended for experienced divers. Two wartime shipwrecks are found in Marsamxett Harbour. HMS Maori, a British Navy destroyer, was hit by enemy fire and sunk in St. Elmo Bay. 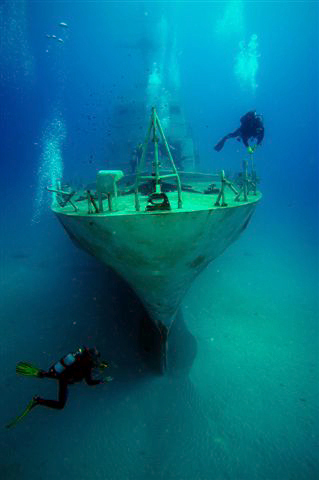 It is arguably the finest historical wreck in Maltese waters, and an easy and popular dive. HMS Maori was involved in the chase for the German battleship Bismarck and helped in the rescue of German sailors after the ship was hunted down and sunk. Close to Manoel Island in the same harbour lies the X127 wreck. This barge was sunk during World War II – the actual target probably being submarines moored nearby. The dive is a shallow one but tends to suffer from low visibility due to its inner harbour location. Select the best accommodation for your Malta and Gozo dive holiday on the Chevron website.